MANILA — Rose Marie Ecrivani, 30, is literally padlocked from her house. She, her husband and their six year old daughter now resides along a narrow alley that leads to their community in Sitio San Fatima in Paranaque City. For a couple of weeks now, rain or shine, a makeshift tent has served as their home. “People would always catch me staring blankly because I could not believe that this is happening to our family. 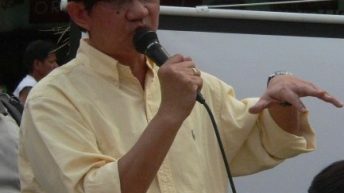 While I feel helpless, there is no way for us but to fight for our rights,” Escrivani told Bulatlat.com. Escrivani and her family was kicked out from their house last October 5 for not paying their monthly amortization under the Community Mortgage Program, a government housing program, long criticized as the urban poor’s version of the peasant’s Comprehensive Agrarian Reform Program. 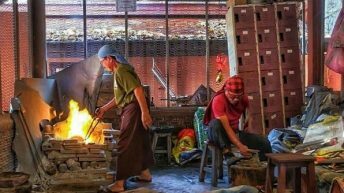 Her husband, who earns a living as a scavenger, could barely support their family with his meager income ranging from $1.6 to $3.5 per day. Despite this, Escrivani said, they tried their best to cough up the $5.8 monthly amortization, thinking that someday, they would own the house that they are living in. Sometime in 2004, Escrivani and other families in their community found out that the Sitio Fatima Parenthood Neighborhood Association, a local association tasked to collect their monthly amortization, was not remitting their payments to the Housing and Land Use Regulatory Board. The receipt given to them, according to Escrivani, were fake. “We stopped paying since then,” she said. Even if she wanted to, Escrivani said, they could no longer afford the monthly amortization given the soaring prices of basic goods and services. For failing to pay their amortization, the Escrivani family and some thirty more were kicked out from their respective houses last October 5, 2011 by members of the demolition team, the police and SWAT. According to Kadamay, an urban poor group, the existing government housing program would not resolve the squatting problem in the country’s urban centers. This, the group added, has only resulted to residents barricading their community and rejecting housing offers by the National Housing Authority, mostly leading to violent demolitions. Vice president and housing czar Jejomar Binay announced on Friday a 1.5 million housing target by 2016, which Kadamay believes would only lead to demolition of homes of urban poor communities. Center on Housing Rights and Evictions (COHRE), an international human rights organization based in Geneva, Switzerland, said in its study that living conditions in relocation sites are appalling due to lack of basic services such as potable water, electricity and sanitation facilities. The group added that the relocation process lacks consultation with affected families, insufficient government loans for the construction of the houses and the absence of livelihood opportunities in the area. 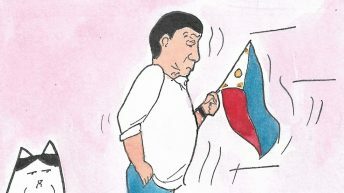 Anakpawis Partylist said the policies on the process of relocation has brought about cases of overvalued lands bought by the NHA. For one, the two corporations namely the New San Jose Builders and Goldenville Realty and Development Corporations remain in the list of corporate developers accredited by the Housing and Land Use Regulatory Board as of June 2008 despite being involved in the 2004 Towerville resettlement project where overpriced housing construction materials were sold to the affected families of the Northrail Rehabilitation Project. The Community Mortgage Program is a housing program where a piece of land is awarded to a resident’s association. According to Kadamay, monthly amortization are imposed on residents like Escrivani, who barely have a stable source of income. Similar to Escrivani’s experience, Kadamay noted that the CMP has become a seeming trap to urban poor dwellers that is meant to fail since residents would not have a stable income to pay for the amortization. Escrivani joined the urban poor groups in their calls before the United Nations Special Rapporteur on Adequate Housing Raquel Rolnik to investigate the gross violations of human rights on the Filipinos’ rights to housing and during demolitions. 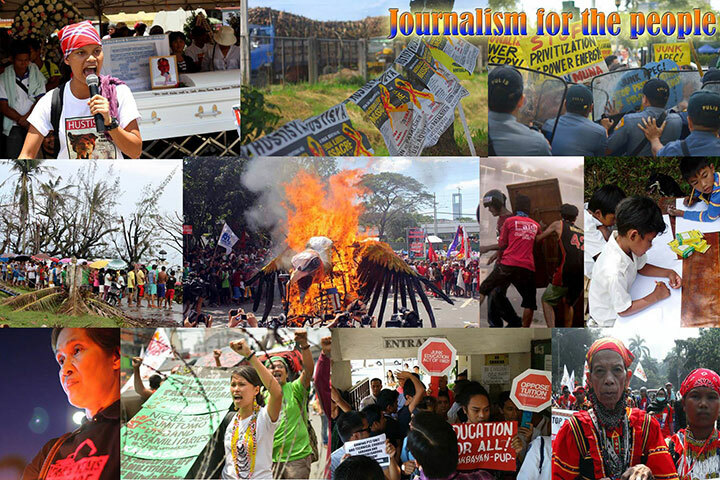 On September 7, 2011, Demolition Watch, a network of community based organizations, together with Kadamay, filed an appeal before United Nations Special Rapporteur on Right to Adequate Housing Raquel Rolnik to investigate the human rights violations on the urban poor. Their appeal for an investigation is based on the right of the people to decent housing as provided for by the 1948 Universal Declaration of Human Rights and the 1966 International Covenant on Economic, Social, and Cultural Rights. The group, on October 14, also handed a copy of their complaint to the United Nations Habitat, United Nations Children’s Fund and the office of Dr. Jacqueline Badcock, who heads the United Nations in the country. “We believe that poor people also have the right to live as human beings with decency, peace, security and dignity as provided for by the United Nations Covenant on Economic Social and Cultural Rights and the Universal Declaration on Human Rights,” their appeal read.? 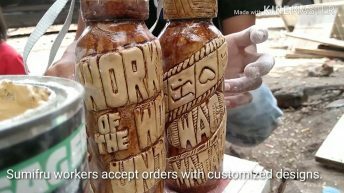 They added in their appeal that it is the Philippine government that is behind the violations of their rights, despite being a member of the United Nations and a signatory to a number of human rights-related declarations. “We endure oppression, militarization of our communities, threat, harassment, and killings of our leaders as we fight for our housing and human rights,” the appeal read. For instance, only 7,000 of the 20,000 families living along the railways who were evicted in April 2009 in order to give way to the implementation of the Philippine National Railways Modernization and Rehabilitation program were given a relocation site in Southville III, Barangay Poblacion, Muntinlupa City. Residents from Corazon de Jesus in San Juan City also issued a call to the United Nations to investigate what they have been going through. They said they have been experiencing forced evictions since the 1980s from the Estrada family, the city’s political patriarch. Mayor Guia Gomez, mistress of former president Joseph Estrada, who himself served as San Juan City mayor for 20 years, issued a notice of demolition to the remaining residents of the Corazon de Jesus to give way to the construction of the new San Juan City hall, which reportedly was inspired by the United States’s White House. 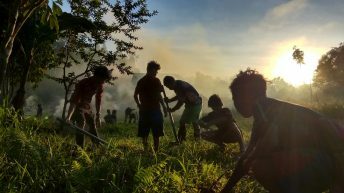 Those who were relocated in Lupang Arenda in Taytay, Rizal, as stipulated in the appeal, later on found out that there are no houses built yet, no electricity, potable water and the area was declared a danger zone by the Department of Environment and Natural Resources. Those who were brought to Southville 8-B in Rodriguez, Rizal, on the other hand, were given substandard housing units. There are currently more than 200 families left in the community, asserting their rights and putting their best efforts to stop another wave of demolition. “We stand for our safety and security of tenure. We call for genuine housing and urban development where our livelihoods, standard of living, social services and welfare are assured by the government,” the appeal read. In Sitio Kadiwa in Navotas, they cited the fire that raged their community on January 29, 2011. Instead of getting help from the local government, they received a letter ordering them not to go back to their burned houses “to avoid hazards.” They received another letter on February 5, ordering an urgent demolition of the houses damaged by the fire. “Series of violent demolitions took place on February, March and May 2011, inhumanely destroying our properties in the absence of a court order and legal documents,” the appeal read. The demolitions were being rushed to give way to an infrastructure project of the city government. “We are saddened that all over Metro Manila, Baguio, Cebu, Bacolod and all throughout the country, millions of urban poor families are being threatened with forced evictions and violations of human rights to give way to various infrastructure and development projects,” the appeal read. Anakpawis Rep. Rafael Mariano drafted a resolution to repeal UDHA, as soon as the session resumes in November, asking the Committee on Housing and Urban Development to conduct an investigation, in aid of legislation, on the implementation of the government’s socialized housing, which, according to the lawmaker, has turned int a business venture. 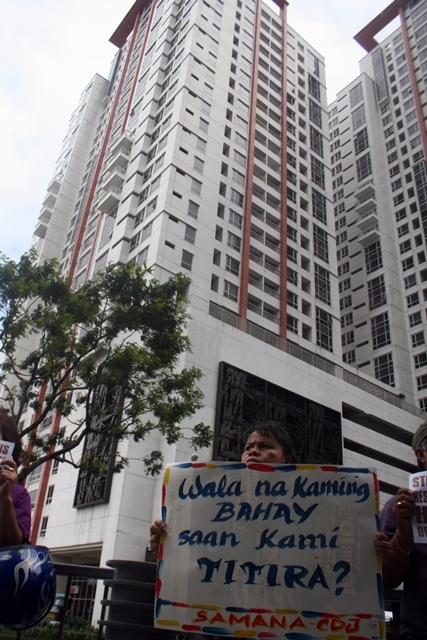 “The very idea of eroding government involvement in the delivery of housing infrastructures and services, and encouragement of greater participation of the private sector will most like turn mass housing into a profit-making enterprise for big companies instead of providing service to the poor,” Mariano said. 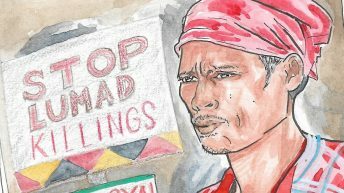 Kadamay welcomes the resolution since UDHA only “legitimizes demolition of urban poor communities as long as residents are given notices of eviction and a measly amount of financial assistance,” without accounting the social and economic effects that were inflicted on their lives due to the relocation. “We urgently appeal to the UN to send a delegation to the Philippines to investigate the massive violations of our housing along with economic, socio and cultural rights, violent eviction, effects to our children and families, to the neglect and accountability of the government, the theory and implementation of Urban Development and Housing Act, conditions in the relocation sites, government housing programs and the long list of human rights violations,” the appeal read. Escrivani, for her part, said she has high hopes that the United Nations would look into the conditions, not only in their community, but also in other areas where threats of demolition looms. – Same with us here in Chico street Luzon ave. One homeowner association here pushing the CMP or Community Mortgage Program not all of us agree in this program we want to know if this are all legal and true first before we agree but like us we don’t have the right information we needed or to whom we are to go to ask. Right now they all ready demolish portion of the houses they need to make they said is road improvement approved by the city council from their subdivision plan they made the demolition a surprise causing one of the resident to lost her baby in miscarriage because of the stress of demolition on her house They did not even gave them compensation or anything to help them fix the damage part that left we really need help and advice here.